Everyone has heard the phrase ‘soft as a baby’s bottom’. As a society, we cherish the belief that babies have the most perfect skin. In fact, as we age, it becomes the ideal touted by anti-aging products and the media. It is certainly a romantic notion, but infant skin is not completely resilient and fully developed so we have to learn how to protect and nourish it. Even for the smoothest of bottoms, there are dangers lurking in common skin care products in the form of toxins, preservatives, and chemicals. Human skin maintains some of the same functions from birth throughout all stages of life. It serves as a physical barrier between the environment and us, helps regulate body temperature, prevents insensible fluid loss from our bodies, and plays a great role in immune function. However, there are some fundamental differences between infant and adult skin. For instance, the barrier function of infant skin is not completely developed. Babies lose more water through the skin and absorb environmental toxins and chemicals more easily than adults . They are also more prone to developing bacterial infections than adults . It is remarkable to note that the application of safe, natural moisturizers to baby’s skin can enhance its barrier function and prevent some of these issues. In a recent randomized, controlled trial, when premature infants were massaged with sunflower seed oil three times a day, they had a 41% decrease in serious life threatening infections and a 26% reduction in mortality . Recent evidence suggests that barrier development continues to occur throughout the first year of life and that baby’s skin is notably thinner structurally than ours. Its fragile nature, high surface area to volume ratio and baby’s decreased subcutaneous fat volume all make infant skin more prone to easily absorbing any chemicals or toxins applied to it. This is all worsened by the fact that babies still have immature drug metabolism and detoxification systems. Basically, their little bodies cannot eliminate any toxins they absorb in the same manner that adults can. These compelling findings highlight the importance of only essential, safe, and gentle skincare for developing infants. When it comes to bathing, oddly enough, there is increased evidence to suggest that washing with a washcloth during the first month of life actually causes dehydration of the skin when compared with simply soaking in water. Another study found that bathing an infant in a tub was associated with higher risk of cord infection versus no washing at all. And when it comes to cleansers, the consensus among dermatologists appears to be that a mild liquid cleanser may actually be less drying and less irritating than water alone after the first month of life. Additionally, bathing should be brief (10 minutes or less) and should occur no more than every other day. What about sunscreen? Photoprotection or sun protection is incredibly important for babies and children as it is for adults because UV damage is cumulative. We also have to take into account that children spend more time outdoors in the sun and that their skin is more vulnerable to damage. In fact, in the case of infants, they are entirely at the mercy of their caregivers to practice sun protection because they cannot communicate when they have a sunburn. However, when it comes to the application of sunscreen, over the years, many have expressed concern about the possible hormone disrupting chemicals found in many formulations. And, as mentioned earlier, this is especially worrisome in infants and children because their skin absorbs chemicals more easily and their bodies cannot metabolize them as quickly and efficiently. Therefore, this remains to be a very contentious topic where the jury is still out. My personal suggestion would be to follow the recommendation made by the American Association of Pediatrics: to minimize the reliance on topical products in infancy by avoiding sun exposure and using sun-protective clothing whenever possible . Even if you do not subscribe to the philosophy of using natural and organic skin care products for your own adult skin, there are significant and worthwhile benefits of going natural for your developing baby and child. As parents, we all want what is best for our children, and the evidence points strongly towards special care for fragile infant skin. As an expectant mom and physician-scientist with a keen interest in immunity, inflammation and autoimmune disorders of the skin, I am passionate about advocating for parents by educating them about the risks associated with the use of chemicals and toxins in common skincare products. However, chemicals are only part of the problem, the other important piece is education about healthy skincare practices and avoidance of unnecessary products applied to the skin. Our babies deserve the best shot at optimum skin health and development. And, we deserve to know that what we put on baby’s skin is safe from harsh chemicals, toxins and preservatives. How many of you use natural or organic skin care products for your infants and children? Do you feel that they are worth the price? Do you wish that they were more readily accessible in mainstream stores? Shwayder T, Akland T. Neonatal skin barrier: structure, function, and disorders. Dermatol Ther. 2005;18(2):87-103. Darmstadt GL, Dinulos JG. Neonatal skin care. Pediatr Clin North Am. 2000;47(4):757-782. LeFevre A, Shillcutt SD, Saha SK, et al. Cost-effectiveness of skin-barrier-enhancing emollients among preterm infants in Bangladesh. Bull World Health Organ. 2010;88(2):104-112. American Academy of Pediatrics. Recommendations on limiting sun exposure. Accessed January 9, 2013. 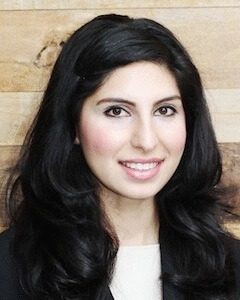 Dr. Aaliya Yaqub MD, is an internist and postdoctoral research fellow in the department of Immunology and Rheumatology at Stanford University School of Medicine. She and her husband, are expecting their first baby later this month.